It’s a tale as old as Facebook: An unknown author at the start of their career writes a story. It becomes a viral phenomenon, launching a thousand hot takes and think pieces about whether it rightfully or not reflects These Troubled Times. Amid the tsunami of debates, analyses, and debates over these analyses, a seven-figure two-book deal ensues, followed closely by a movie contract. We’ve seen the mad rush to capitalize on internet ephemera before, but what set Kristen Roupenian’s “Cat Person” apart was how unlikely a candidate it was to grasp the nation’s fickle attention. The short story, about a date gone wrong, was lauded as the fictional encapsulation of the #MeToo movement, and critiqued for it as well. After the dust settled, the question that remained was whether the response to the story was more intriguing than the work itself. 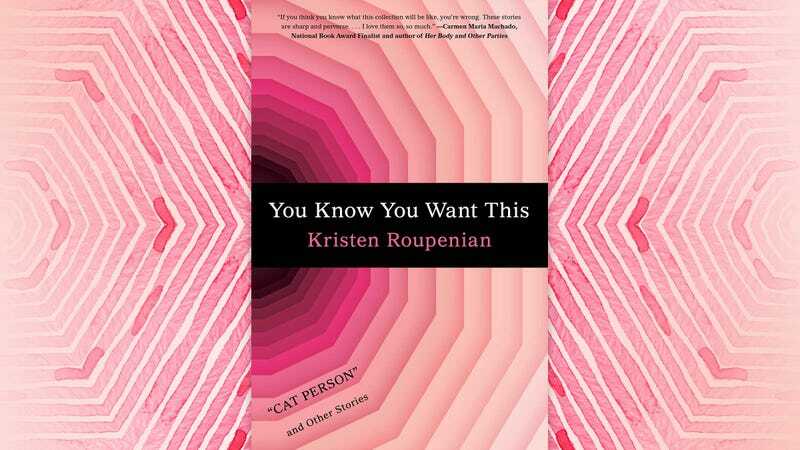 Roupenian’s full-length debut, You Know You Want This: “Cat Person” And Other Stories, is meant to supply an answer. The 12 short stories in the collection explore the dangerously sadistic power dynamics between genders, rarely shying away from the uncomfortable and outright gruesome outcomes of desire. A 12-year-old girl has a menacing interaction with a drifter. A woman fantasizes over biting her womanizing coworker. A guy looking to hook up on Tinder gets more than he bargains for. It’s a work that will kindle Twitter rage threads that begin with “Let’s be clear” and satiate those that end with an ironic #notallmen. Therein lies its appeal and its chief problem. While the book can be engaging and deliciously creepy at times, it’s also schematic in its diagnosis of human nature in the way that so many social media debates tend to be. Readers expecting “Cat Person” in different variations may be surprised to find this to be a gory book. The unflinching depictions of physical cruelty as a reflection of the psychological harm we are willing to carry out on others is one of the collection’s greatest strengths. It’s a stylistic choice that is announced with the opener, “Bad Boy,” a deeply unsettling story of a couple that sexually torments their heartbroken friend. There is punching, biting, kicking, cutting, piercing, chewing, hissing, crawling, slashing. Blood makes a recurring appearance. These stories may leave readers squirming, sometimes with tension, often with revulsion, and Roupenian is extremely skilled at escalating the stakes. “Love breeds monsters” appears etched on the body of one character, which seems to be the author’s main point: We can easily become monsters of our lust, if we feel entitled enough to act on it. This commitment to portraying the human body as a potential site for gruesomeness is best served in the several horror stories peppered throughout. At times, the collection feels like two different books in their own power struggle (how Roupenian of them), with genres varying wildly from realism to fabulism to even paranormal goth. In “Scarred,” for example, a woman conjures a man to fulfill her desires, though it can only be done through the torture of his flesh. “The Mirror, The Bucket And The Old Thigh Bone” centers on a princess whose sexual infatuation with her reflection ends up deforming her. While at times these stories feel like intruders, they’re welcome ones. The condemnations of each of their protagonists make sense in a universe of fantastic creatures, black magic, and faraway kingdoms. For a book that relishes the messy carnage of relationships, it’s frustrating to have literal and metaphorical bloodshed be resolved in so a tidy manner. A few shine because of their restraint, most notably “The Matchbox Sign,” in which a straight couple’s life is upended by the girlfriend’s mysterious skin condition, and “The Boy In The Pool,” in which a woman plans a bachelorette party for her former high school crush with the goal of fulfilling the bride-to-be’s teen fantasy. Still, these are rare. What we get, time and again, are more predictable outcomes, usually tainted with a degree of shock value, so readers can be absolved of any upsetting ambiguity by clearly knowing who deserved what and who is left to tend to their wounds. Roupenian raises difficult questions. One wishes her answers were just as challenging. 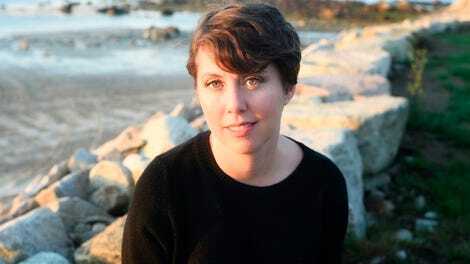 Ines Bellina is a writer, storyteller, and bon vivant. When she's not working on her novel or overscheduling herself, she sings love songs to bulldogs.